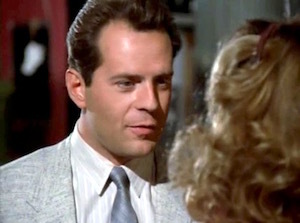 Moonlighting was a remarkable series that played on ABC from March of 1985 to May of 1989. 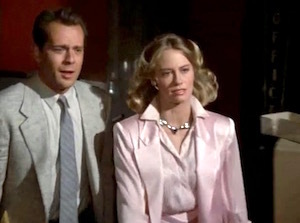 It was created by Glenn Gordon Caron and starred Cybill Shepherd and Bruce Willis as private detectives. 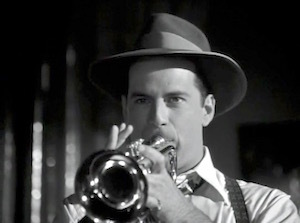 Its 66 episodes were a mixture of drama, comedy, and romance (which came to be called dramedy) that made Willis a star and boosted Shepherd's career after it had languished for many years. The series revolved around cases investigated by Madelyn "Maddie" Hayes (Shepherd) and David Addison (Willis). 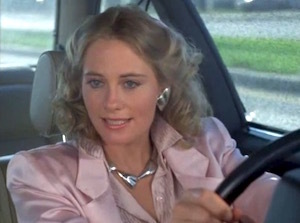 With its pungent mix of sharp dialog, mystery, and sexual tension between its stars, Moonlighting brought Bruce Willis to the world's attention and rescued Cybill Shepherd from the brink of obscurity. Their characters were introduced in a two-hour pilot. The show's premise begins with the reversal of fortune of Maddie, a one-time model who is bankrupted when her crooked accountant embezzles her money. She's saddled with several failing businesses that she'd previously maintained only as tax write-offs, one of which is the City of Angels Detective Agency, run by Addison. Between the show's pilot and its first episode, David convinces Maddie to keep the business and run it as a partnership rather than sell it. The agency is renamed Blue Moon Investigations because Maddie was most famous for being the spokesmodel for the Blue Moon Shampoo Company. In many episodes she's recognized as "the Blue Moon shampoo girl." As Maddie Hayes, Shepherd is a chic and smart former high-fashion model. She leverages her fame to attract clients, and tries to bring order and efficiency to a business previously run with neither of those things. 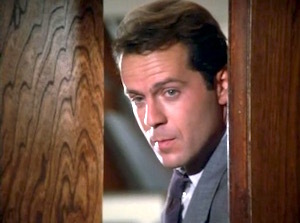 As David Addison, Bruce Willis is a charismatic and fun-loving detective running the City of Angels Detective Agency by the seat of his pants. Faced with losing what for him has been a great gig, he persuades Maddie that they've only lost money in the past because they were supposed to, and talks her into rebranding the agency and going into business for real, with him as her partner. Allyce Beasley memorably played Agnes DiPesto, the extremely loyal and very quirky receptionist for Blue Moon, who always answers the phone in rhyme. 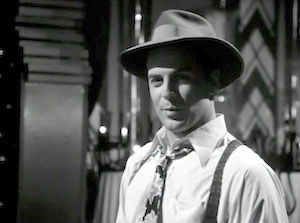 As problems arose getting Willis and Shepherd on screen together over their personal problems, the show's writers focused on the emerging relationship between Agnes and her Blue Moon co-worker Herbert Viola. 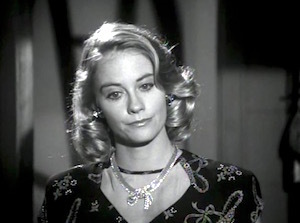 In Moonlighting's finale, Agnes berates Maddie and David (while the show's set is literally being torn down around them) for their inability to solve their personal problems. “If there’s a God in heaven, he’ll spin Herbert and me off in our own series,” she tells them. As Herbert Viola, Curtis Armstrong starts at Blue Moon as a temp from an employment agency. 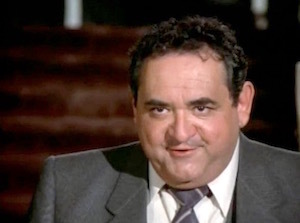 The producers first spotted him in Revenge of the Nerds and Better Off Dead, and brought him in to fill out the role of Agnes DiPesto by giving her a love interest, and so take some of the pressure off of Willis and Shepherd. As Herbert starts to shine in his duties, he gets promoted to junior detective and works real cases. 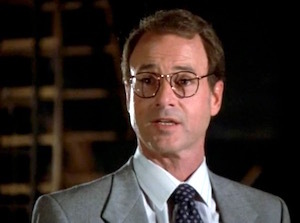 He started in Moonlighting's third season and appeared in 36 episodes. 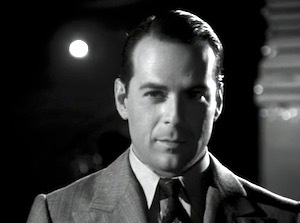 Jack Blessing played MacGillicudy, another Blue Moon employee who emerged as a foil for Herbert Viola and as a rival for Agnes’s affections. 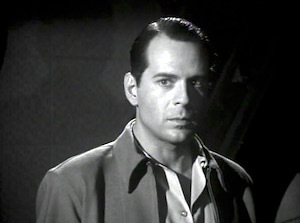 Also debuting in season three, he appeared in 17 episodes. 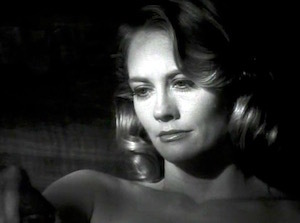 One of the many things that made Moonlighting different from other shows was its excursions into fantasy; in season two, it aired "The Dream Sequence Always Rings Twice," an episode that featured two prolonged and elaborate black-and-white dream sequences. 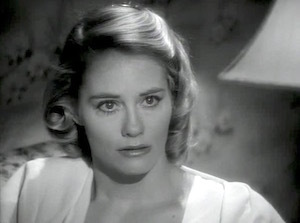 The episode was about a 1940s-era murder that David and Maddie are told of by the inheritor of the nightclub where it happened. Maddie and David feud over the details of the crime, which involved a man and woman who were executed for the death of the woman's husband, with both claiming the other was the real killer. 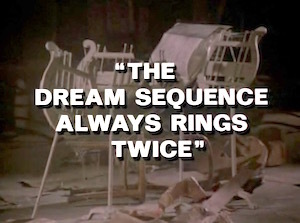 After a fourteen-minute set-up, the episode takes us through two black-and-white dream sequences where Maddie and David each separately dream their version of how the murder happened. 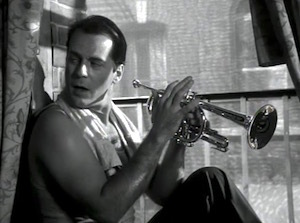 Glenn Gordon Caron filmed them on black-and-white film stock so they'd resemble true period films (in the DVD commentary, it's further said that black-and-white film was used instead of color so that the network couldn't later use the color version in future broadcasts). 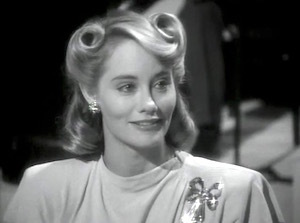 ABC was still unhappy with the episode, however, and, fearing fan displeasure at the show's supposedly "gimmicky" use of black and white, their corporate executives demanded a disclaimer at the beginning of the episode to inform viewers of what they were about to see. 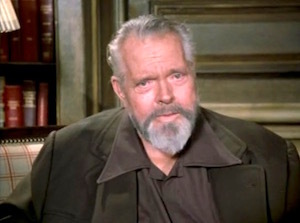 In an inspired move, Caron hired film legend Orson Welles to provide the disclaimer (it would be the last time Welles appeared in front of a camera; he died days afterward, before the episode aired). 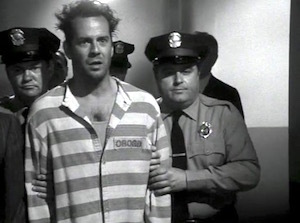 Typical scripts for typical one-hour TV shows run 60 pages (a minute a page), but those for Moonlighting were almost twice as long because of all the fast talking and overlapping dialogue of the main characters. 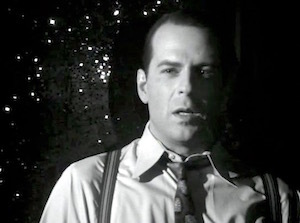 An average television show takes seven days to shoot; Moonlighting took 12–14. 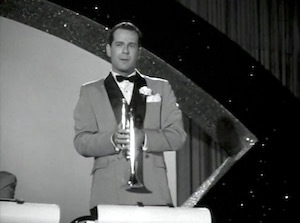 Glenn Caron's attention to detail led directly to Moonlighting becoming one of the most expensive TV shows to produce in its day. 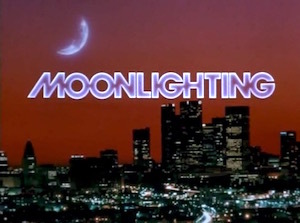 In the mid '80s, most episodes of most one-hour shows cost just under a million dollars; Moonlighting ran nearly twice that. 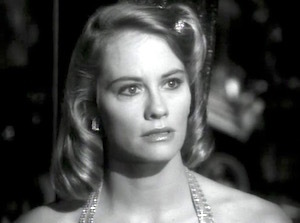 "The Dream Sequence Always Rings Twice", for instance, could have been done much more cheaply had it been shot in color and then converted to black-and-white afterwards, but Caron insisted on -- and got -- the authentic look of true black-and-white film, which took 16 days to shoot and brought the total budget of the episode to a then-staggering cost of two million dollars. Caron defended his practices in the name of giving the audience what it wanted and making a quality product. "The thinking in television," he is quoted as saying, "which makes no damn sense to me, is that a half hour of television costs X, and an hour of television costs Y, no matter what that television is... The parallel is, [if] you're hungry, whether you go to McDonald's or whether you go to '21,' it should cost the same; they both fill your stomach. It's nonsense." 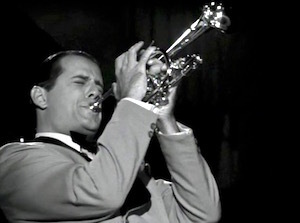 Moonlighting's theme song, performed by jazz singer Al Jarreau, was also a hit. All of this attention to detail resulted in production delays and the show became infamous for airing reruns in the middle of its season when new episodes had yet to be completed in time for broadcast. 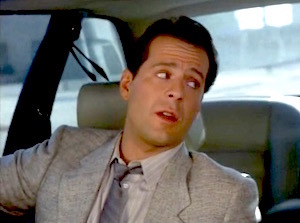 Because the first two seasons of Moonlighting focused almost exclusively on the two main characters, having them appear in almost every scene, the burden of Caron's production methods fell especially hard on its two stars. 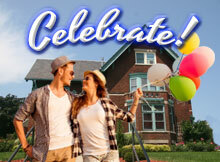 According to Cybill Shepherd, "I left home at 5 A.M. each day. 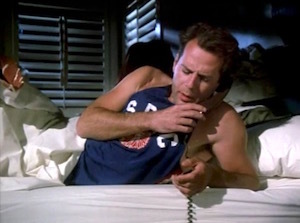 Moonlighting scripts were close to a hundred pages, half again as long as the average one-hour television series. Almost from the moment the cameras started rolling we were behind schedule, sometimes completing as few as sixteen episodes per season, and never achieving the standard twenty-two."